MANHATTAN, Kan. — Kansas State pulled ahead for good in the third quarter Saturday as the Wildcats handed the University of Northern Iowa a 72-62 women’s basketball defeat. UNI (7-5) came out strong and built a 9-2 lead, then finished the opening quarter with another surge for a 16-12 lead. The Panthers made it 18-12 with the first bucket of the second quarter, but Kansas State (9-3) put together a 16-0 run to go up 28-18. The Wildcats led 32-29 at halftime. 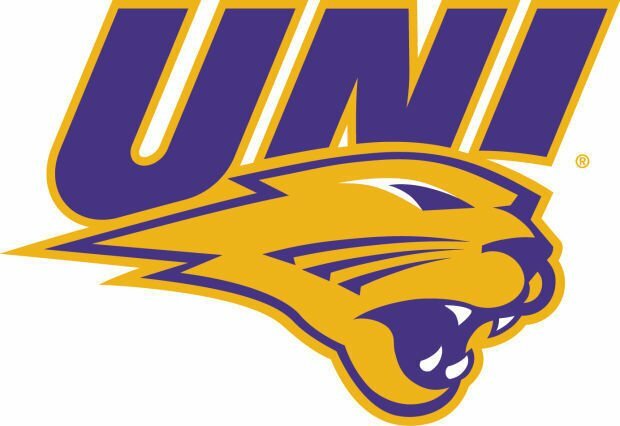 UNI scored the first six points of the second half to take a 35-32 lead before the Wildcats heated up again and built a 57-49 advantage after three quarters. The Panthers got within six points early in the fourth, but couldn’t regain the lead. 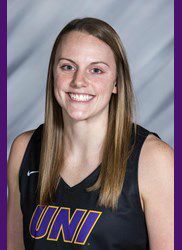 Ellie Howell and Karli Rucker scored 15 points each and Taylor Hagen 12 for UNI. Bre Gunnels finished with a career-high 15 rebounds. The Panthers were just 6 of 22 from 3-point range. UNI begins Missouri Valley Conference play Friday at Illinois State. NORTHERN IOWA (7-5) — Gunnels 2-7 0-0 5, Hagen 5-11 2-2 12, Howell 6-10 0-0 15, Morgan 1-4 2-2 5, Rucker 5-17 5-6 15, Hillyard 1-3 0-0 2, Wolf 1-3 0-2 2, Finley 1-1 0-0 3, Gerrits 0-1 1-2 1, Iverson 0-0 0-0 0, Kroeger 1-6 0-0 2, Simon-Ressler 0-1 0-0 0, Totals 23-64 10-14 62. KANSAS ST. (9-3) — Jones 3-7 1-1 7, Williams 7-11 8-10 22, Carr 3-10 2-2 11, Goth 4-10 3-6 12, Ranke 3-5 1-2 9, Beard 2-6 2-4 6, Macke 0-1 0-0 0, Lakes 0-0 0-0 0, Ray 2-2 1-1 5, Simmons 0-0 0-0 0, Wiggins 0-2 0-0 0, Totals 24-54 18-26 72. 3-point goals — N. Iowa 6-22 (Gunnels 1-3, Howell 3-4, Morgan 1-3, Rucker 0-4, Hillyard 0-2, Wolf 0-1, Finley 1-1, Gerrits 0-1, Kroeger 0-3), Kansas St. 6-15 (Williams 0-1, Carr 3-7, Goth 1-2, Ranke 2-4, Beard 0-1). Assists — N. Iowa 13 (Rucker 6), Kansas St. 16 (Goth 7). Fouled out — none. Rebounds — N. Iowa 39 (Gunnels 15), Kansas St. 38 (Williams 13). Total fouls — N. Iowa 19, Kansas St. 11. A — 3,340. NORTHERN IOWA (7-5) -- Gunnels 2-7 0-0 5, Hagen 5-11 2-2 12, Howell 6-10 0-0 15, Morgan 1-4 2-2 5, Rucker 5-17 5-6 15, Hillyard 1-3 0-0 2, Wolf 1-3 0-2 2, Finley 1-1 0-0 3, Gerrits 0-1 1-2 1, Iverson 0-0 0-0 0, Kroeger 1-6 0-0 2, Simon-Ressler 0-1 0-0 0, Totals 23-64 10-14 62. KANSAS ST. (9-3) -- Jones 3-7 1-1 7, Williams 7-11 8-10 22, Carr 3-10 2-2 11, Goth 4-10 3-6 12, Ranke 3-5 1-2 9, Beard 2-6 2-4 6, Macke 0-1 0-0 0, Lakes 0-0 0-0 0, Ray 2-2 1-1 5, Simmons 0-0 0-0 0, Wiggins 0-2 0-0 0, Totals 24-54 18-26 72. 3-point goals -- N. Iowa 6-22 (Gunnels 1-3, Howell 3-4, Morgan 1-3, Rucker 0-4, Hillyard 0-2, Wolf 0-1, Finley 1-1, Gerrits 0-1, Kroeger 0-3), Kansas St. 6-15 (Williams 0-1, Carr 3-7, Goth 1-2, Ranke 2-4, Beard 0-1). Assists -- N. Iowa 13 (Rucker 6), Kansas St. 16 (Goth 7). Fouled out -- none. Rebounds -- N. Iowa 39 (Gunnels 15), Kansas St. 38 (Williams 13). Total fouls -- N. Iowa 19, Kansas St. 11. A -- 3,340.